If you have mastered the basics and are now looking to extend your baking repertoire and develop new skills, then come and join us for this advanced bread making workshop and be inspired to take your bread making one step further! If you have mastered the basics and are now looking to extend your baking repertoire and develop new skills, then come and join us for this advanced bread making workshop and be inspired to take your bread making one step further! During this busy hands-on day of baking, Jenny Dicks will introduce you to a selection of new bread recipes, preparation methods and finishing techniques. By taking the basic principles of bread making, we’ll show you how you can use an array of ingredients and flavours to create some unique and very special breads. Your busy hands-on day of baking will include a braided stuffed loaf, a contemporary-looking Fougasse, a sweet or savoury flavoured bread, plus a few other specialities from the Bay Tree Cottage Kitchen! 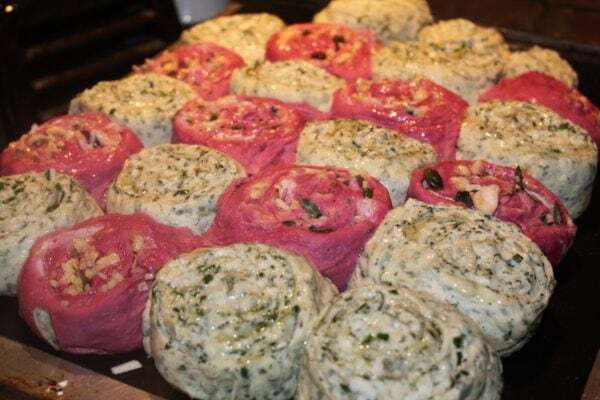 You will leave the workshop laden with a delicious selection of breads to share with your family and friends, plus the knowledge, skills and enthusiasm to extend your bread making repertoire at home. To allow enough time and space to make all the bread is limited to just 8 people.